So cheering! 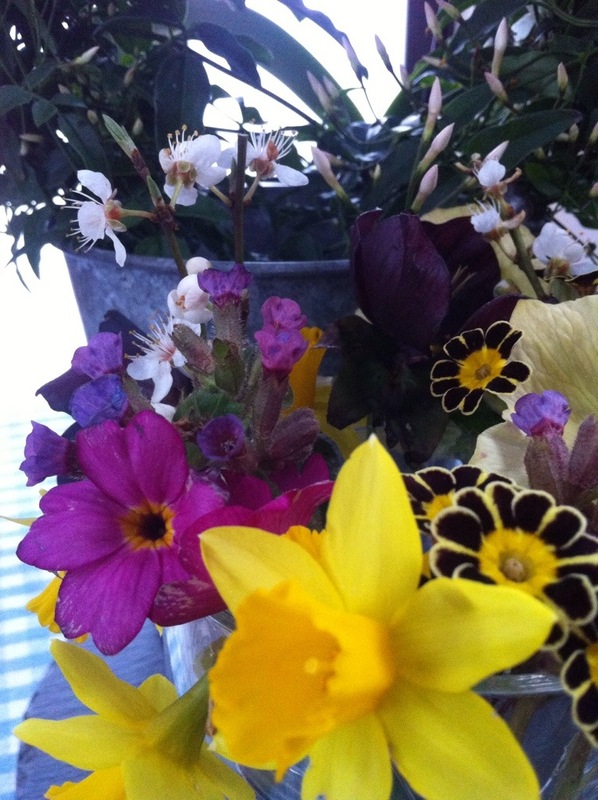 My favorites are the lace cap primroses and the dark hellebore – dark beauties! 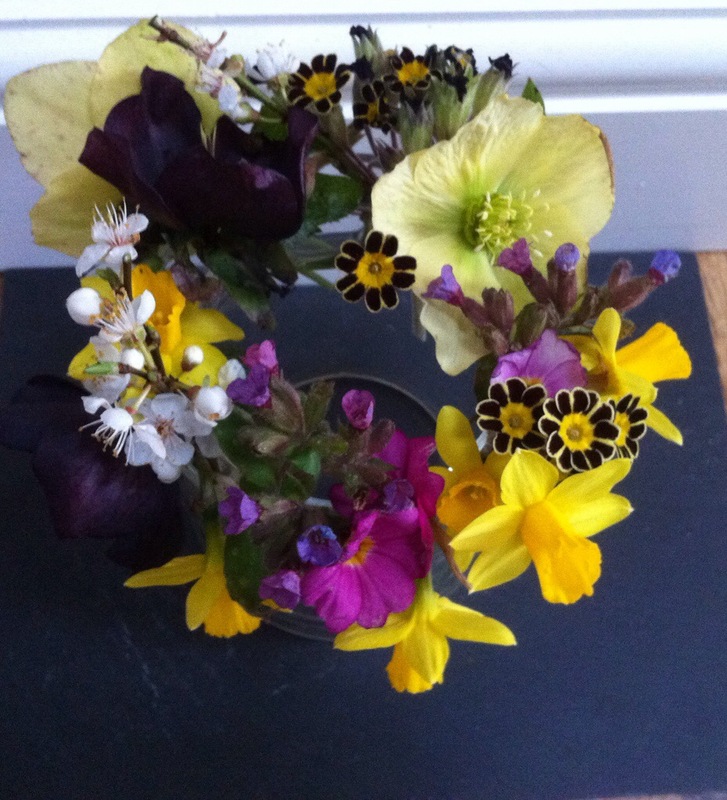 The lace cap primroses are very pleasing. They remind me of ariculas, which I love but have never grown successfully. 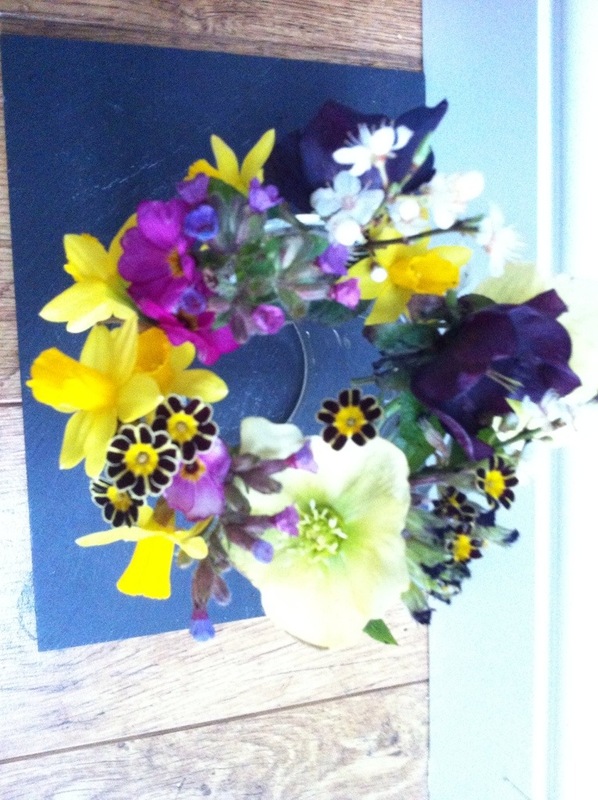 Perhaps I shall have a go with the primroses instead! 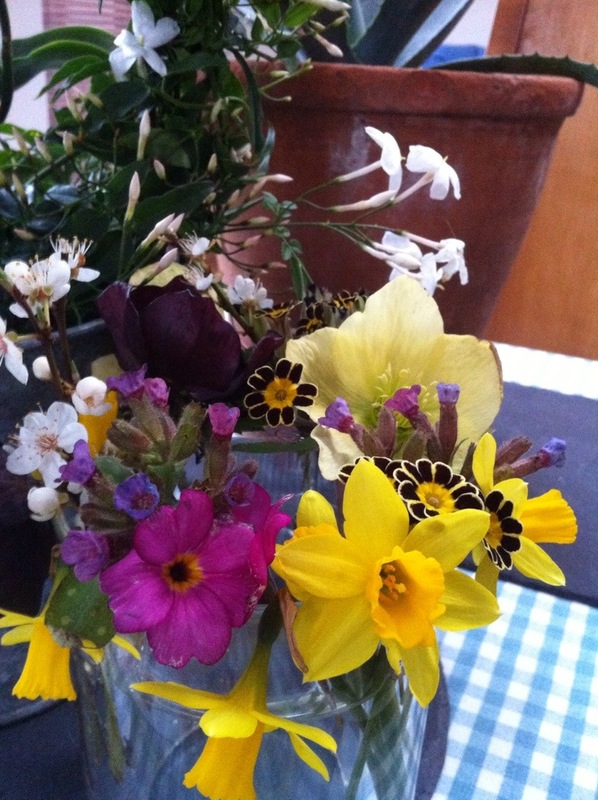 What a lovely collection of Spring flowers, especially the Auriculas. Bursting with spring. The pulmonarias really tie things together with their blue-to-pink tones. I’ve gone with pink primroses too! Oh this is delightful, so full of colour and beauty. Those hellebores, what a colour! Lovely. The Lace Cap Primroses are especially nice – if they are the little flowers that look have very dark petals and yellow centers? Thanks and you are right, the lace cap are the near black and yellow ones. Really striking next to the dwarf daffodils. How pretty. I love little posies of bright spring flowers at this time of the year. It is so endlessly cold and grey outside. Lovely to bring some sunshine inside. Thanks Chloris. So dark and wet today, can’t do a thing with my hair. How lovely – I adore Pulmonaria and this little posy is simply spring in a vase!